I MOUSTACHE you to read this post! - Apple-y Ever After! I MOUSTACHE you to read this post! Tomorrow, my school is having our monthly spirit day. While I do normally put in a decent effort, tonight I decided to go all out to get ready for Moustache Day!! My class is as classy as it can get with 'staches all over the room. I'm a naturally competitive person, and we win certificates for the amount of fun and effort that we put in. I love winning, I mean certificates showing my students how much fun school can be! I love spirit days for many reasons. Firstly, we really build our classroom community on these days. We spend time together laughing and having fun together. The best part though is probably the amount of stress it takes off of everyone. Myself included. We focus so much on 'chasing down curriculum outcomes' that sometimes we just get tired as teachers. Maybe you don't, but I sure do. 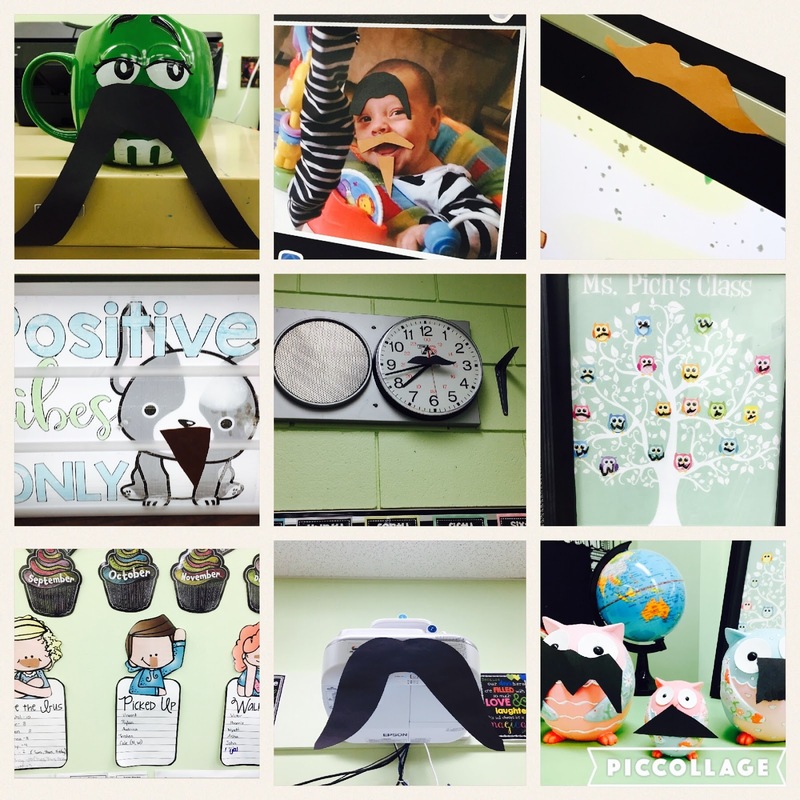 Here are some of the fun things that I have done in my room to make our Moustache day just a little bit more special for my kiddos. Today I wanted to make sure that everyone has a chance to make a moustache. I know a lot of kids forget or their parents don't know or whatever the case may be, they just don't always remember. So, today I told everyone to make an 'emergency moustache' just in case they forgot in the morning. You should see the moustaches that I have. Long ones, curly ones, short ones... I even have one with arms (much like the Bart Reynolds GoNoodle character when he's maxed out. Coincidence? I think not...). Unfortunately, I did not take any pictures of these masterpieces being created yet, however we will hopefully get a picture of all the glory tomorrow when everyone is in their glory. I always want my students to feel excited when they come into the classroom, but even more so on Spirit days. So, in order to make this extra special, I made a giant moustache doorway entrance. 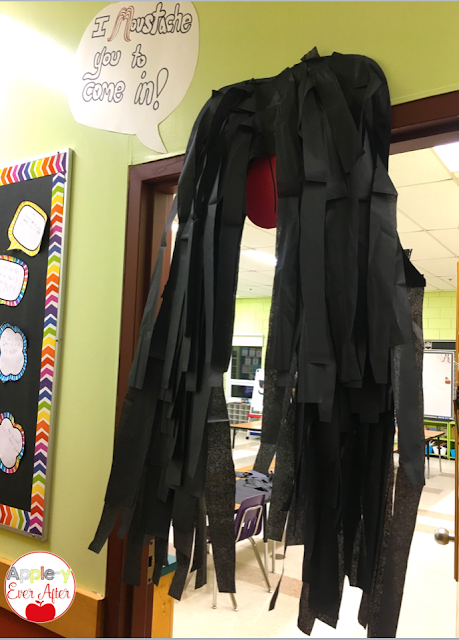 After my students come into the classroom through this giant hairy moustache, I know they want to have an important part of this fun day. We spent some time today disguising our classroom. Well, everything has a disguise! My class and I brainstormed ideas of how to make moustache day even more special in our classroom. We came up with the idea of decorating the room too. My M&M mug - 'stached. Not one thing was left un-moustached in my classroom. I love it! The next way that I like to celebrate these special events is to set up special challenges for my class. I drew a picture of my favourite GoNoodle characters on my whiteboard and gave each one a challenge for my class to complete. Some of these challenges are simple and others took a little bit more work. This is a super simple graphing chart. I just wanted to give my students the opportunity to do something where they were moving around the room, and observing things around them. Go on a tour of a Moustache! I know what you're thinking... 'What the?!!?' right? Well, this one is super fun. 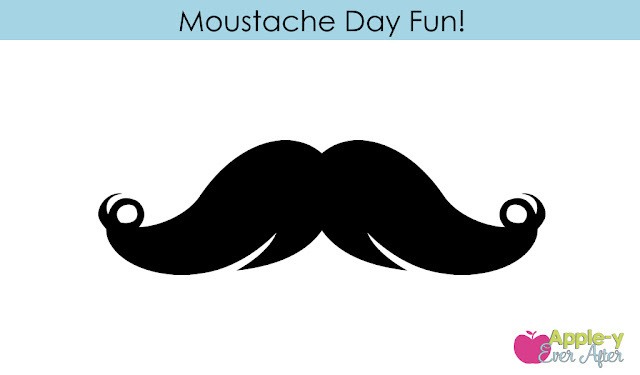 If you log into the GoNoodle website, you have the opportunity to 'take a field trip' and lucky for us, one of the destinations is TO A MOUSTACHE! Log into your go noodle account. If you click on search and type in 'moustache' you will find the field trip video. The great thing about this is that if you have GoNoodle Plus, you can add your own questions to the game before they get to the field trip. The next best thing is that they have to 'run, hop, skip or even ski in order to get to the destination! So much fun and hey, your kids are even learning! For this one, I asked my kids to come up with 2 questions that they could ask the rest of the school. 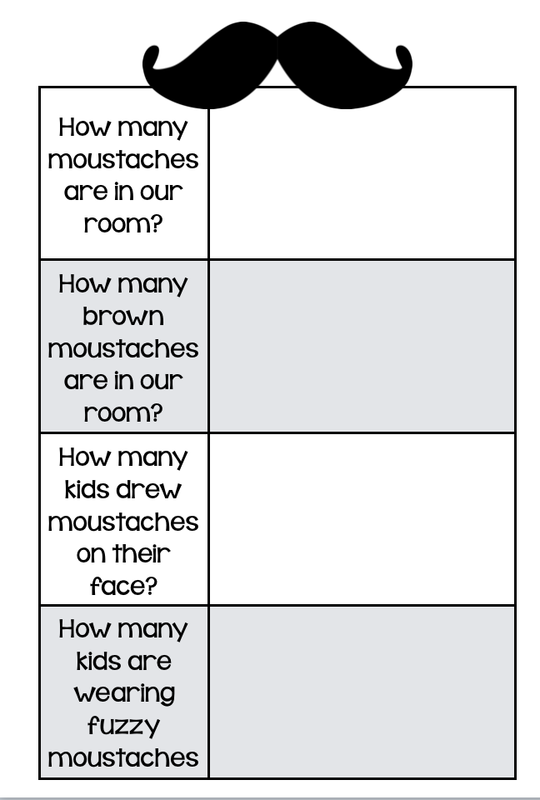 We are going to say "I moustache you a question" and then students will proceed with their questions. These will be yes or no or either or questions. Do you like moustaches? Yes or no.. Which one do you like better? Cake or pie? Hold on. Now I need to get a pie filled cake. Yum! For this last challenge, we will be completing an "I Moustache you a Question" Trivia game. Students will pair up into teams and will answer random fun questions. Here is an example of what these questions are like..
How much fun is this? I'm so excited for my students to come in to school tomorrow to see all the fun that I have planned for them (and me!). If you have any more moustache ideas, feel free to let me know in the comments section! My name is Holly. Welcome to Apple-y Ever After! This is the place to find fun ideas from a silly teacher who talks with her hands! Appley Ever After - FONTS! © 2015 Apple-y Ever After!. Felicity Template designed by Georgia Lou Studios All rights reserved.